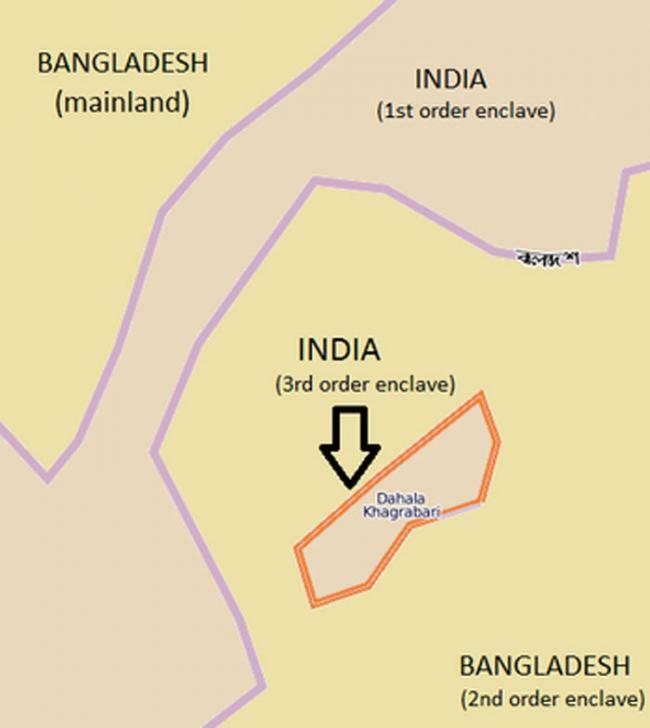 An enclave is a piece of one country's territory which is entirely surrounded by another country's territory, and the India-Bangladesh border was filled with them before 2015, when they were eliminated by a treaty between the two countries. A second-order enclave is an enclave inside an enclave, and the world has a handful of them. But in the history of the world there has only been one third-order enclave, an enclave inside of an enclave inside of an enclave. This is Dahala Khagrabari (#51), located in the Cooch Behar district of West Bengal, the border between India and Bangladesh. 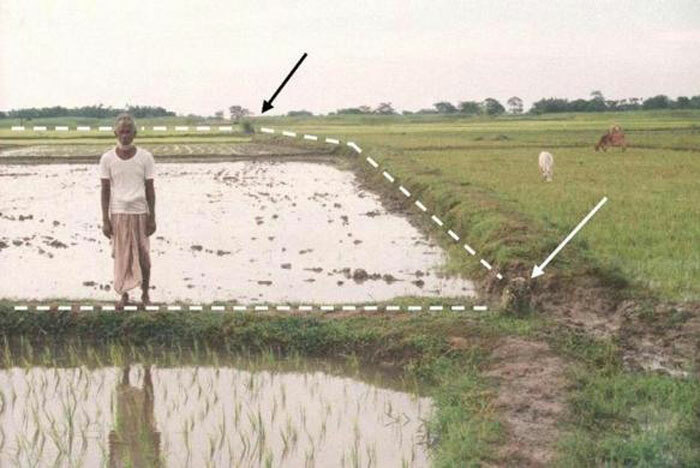 Just 2 acres in size, nobody ever lived inside this unique enclave, but it was owned by of a Bangladeshi jute farmer who every morning, woke up in Bangladesh, walked over to India to farm his land, and returned home to Bangladesh at the end of the day. 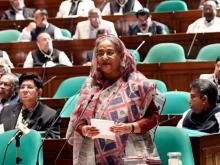 While some of the world's most developed countries have at least one enclave and still function normally, the enclave situation of the India-Bangladesh border before 2015 was distinctly different. The border contained a whopping 198 enclaves, with over 50,000 people living in them. Since almost all of these enclaves were made up of farmland (and not cities), it can be inferred that tens of thousands of Indians and Bangladeshis had to regularly cross international borders just to acquire food, supplies and health care. But crossing one border is nothing compared to crossing two or three. If that same Bangladeshi jute farmer was working on the farm one day and wanted to walk to the nearest bus stop a half mile away, he would have to cross from his Indian farm into Bangladeshi territory, then cross back into India, and at last arrive back in another part Bangladesh to reach the stop. That's three border crossings in a half mile, just to board the bus in his home country.